NYC, 02/13/2019, 4:30PM. Demographic Threat and Whites’ Racial Classification of Others. 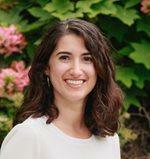 Speaker Maria Abascal is Assistant Professor of Sociology at Columbia University. Dr. Abascal recently completed a postdoc in the Population Studies and Training Center at Brown University. Broadly, she is interested in intergroup relations and boundary processes, especially as they pertain to race, ethnicity and nationalism. Her dissertation explores the impact of Hispanic population growth––real and perceived––on relations between Blacks and Whites in the United States.